I dedicated my 2012 LA Marathon to 26 people. I took one of those paper pace bracelets (the ones you get at Clif Bar booth at the Marathon Expo) and wrote the names in order (1-26) so when I reached that mile I prayed for that person. I continue to run with my prayers during every marathon. as you hold out the word of life-in order that I may boast on the day of Christ that I did not run or labor for nothing. Do you call yourself a runner? Well you should! If you get out there and run, whether it's five minutes or 5 miles you are a runner! It doesn't matter how long you run, how far you run, as long as you get out there and get it done. Don't define yourself by how far you can run or how fast you can run. Anyone can put on a pair of shoes and get out there and start to run. It's those that consistently do it every week that become runners. You are a runner! Don't forget to celebrate your healthy changes along the way. You have come a long way and your are living life to the fullest! You have added years to your life and reversed the side effects of poor eating habits. Time to celebrate YOU!!! Have you learned to embrace the body God blesses you with? We tend to compare ourselves to those on the covers of magazines. Stop! You have a beautiful body that you need to learn to love and appreciate for all it does for you! Feed your body right and don't abuse it or neglect it! Look for the positive (muscle tone, endurance, strength) and not only at the flaws. (fat, wrinkles, stretch marks) Your body is your temple and treat it as such. I never realized what one minute felt like. Sitting and waiting for the microwave to heat up something for one minute seems like nothing. But when you are doing speed drills, running as fast as you can for one minute can feel like forever! I notice when I am pushing as hard as I can, I always look at my watch at the exact same time...45 seconds...those last 15 seconds seem like a lifetime! Have you ever tried to jump rope for 1 minute without stopping? If you haven't jumped since grade school, you are in for a surprise! Even just 30 seconds seems hard enough! One minute can make or break your time to qualify for Boston, it actually comes down to the second! Have you ever beat your PR by one minute? To the "average non racer" that doesn't seem like much, what is one minute; but when your break it down in seconds per mile, one minute is HUGE! Have you experienced the affects of 1 minute? YOU, yes YOU are a RUNNER!! Don't let someone else tell you otherwise. If you lace up and get out there, placing one foot in front of the other, you are a runner. It doesn't matter how fast you run, how far you run or how how long you run.... YOU RUN! Yes YOU RUN!! You are a runner, say it out loud, say it proud! The only person you compete with is yourself. You set the standard, you determine the distance and the pace. Your pace is not the same pace as someone else's pace. What works for one runner, may not work for you. Maybe a racing isn't for you, maybe running 1 mile or 10 min. is what works best for you. It doesn't matter, just keep moving forward. Don't compare yourself and set unrealistic goals. Take each run at a time. Do your best, reach for new goals, new distances. Don't over do, take it in stride! You got this! Stop comparing yourself to other runners. Try not to put pressure on yourself trying to keep up with what other runners are doing. A 10-minute-mile runner may see a faster 8-minute-mile runner go flying by and think, "I should do better, I should be faster." Your perception is not based on how much they run or on how long they have been running, but on their aptitude for it. It is based on a vague sense that you are falling behind and that you need to be doing better relative to other faster runners. When your performance doesn't fulfill your unrealistic expectation, you get discouraged. Don't try to keep up with faster runners. Keep running free. Ease up on yourself, run your best everyday without comparing yourself to what others are doing. My goal with this page it is educate and encourage. If you are a new runner, you need to start out with one mile, and go from there. Please don't pressure yourself to be faster or run further just because other runners do. I share my training schedule and performance so you can see what I do, to motivate you to stretch and reach for new goals. My goal is to qualify for Boston so I can return for my REDO, since this year didn't go quite as planned. I share my road to Boston so those other hopefuls can see what worked for me. God blessed us with strong bodies and we need to be thankful for the performance they give us each day. You are all amazing, strong runners. 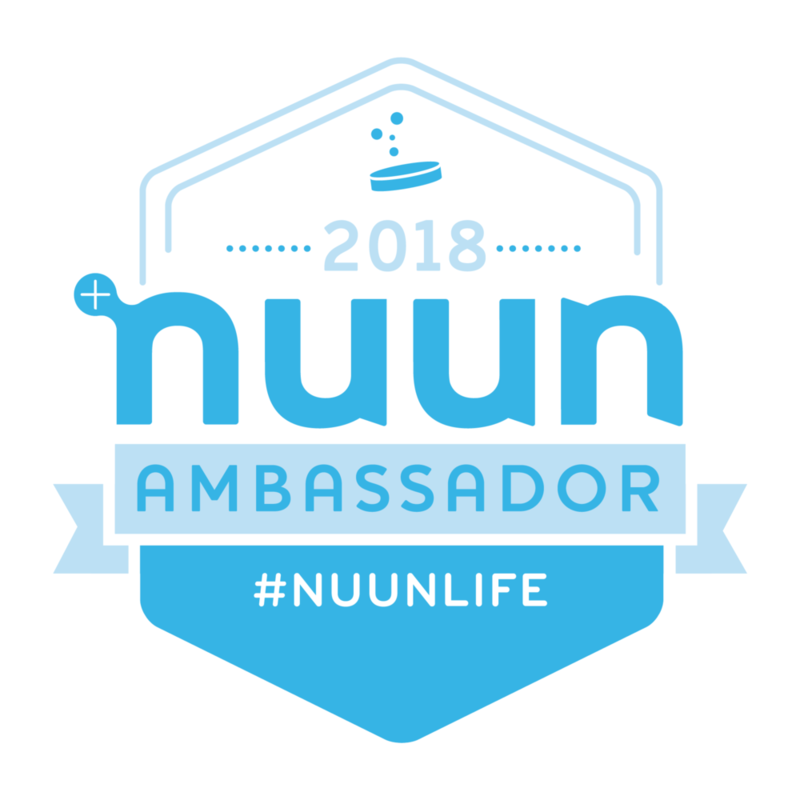 I am proud to be among such an outstanding community of fellow runners! “DON’T BE SO HARD ON YOURSELF." "I can bring good even out of your mistakes. Your finite mind tends to look backward, longing to undo decisions you have come to regret. This is a waste of time and energy, leading only to frustration. Instead of floundering in the past, release your mistakes to Me. Look to Me in trust, anticipating that My infinite creativity can weave both good choices and bad into a lovely design." This comes from my favorite devotional "Jesus Calling" by Sarah Young. I love it because it is written as if Jesus is speaking to you. I have learned to really enjoy hill running. I used to hate and dread each hill repeat day. Now, I look forward to hills! They just don't seem as hard as they used to be. Just like in life, the more hills you climb the strong you become. Obstacles God places in front of you can be tackled like a hill. You just have to get up and over it. Pushing yourself harder than you ever thought possible! Staying strong as you push towards the top without stopping! God is buy your side all the way, helping you get up and over that hill. What lies on the other side of that hill? The down hill, the coasting, your break from the hard up hill, a feeling of accomplishment as you catch your breath and and the pain of the climb subsides. You did it! Now enjoy the view! The best cheerleader at any race is....YOU! When I ran the Boston Marathon 2013, it was incredible to see the number of spectators that were there supporting and cheering us on! From mile 1 to 26.2, they lined the streets, cheering loudly at times I couldn't hear myself think! Those cheers kept me going when I felt tired. But who cheers you on when you are training, when no one is there to encourage you, to hand you water or take your photo? YOU! "You can do it, you are almost there, you got this, piece of cake, go baby go, you aren't tired yet...."
Your greatest cheerleader in any race or training run will always be you. You never have to go far to find moral support when you begin to slow down. You can get yourself through all those tough training runs and you will get yourself across that finish line! Never give up on yourself! Never allow the negative self talk in. Keep a positive outlook, you can do this, you have trained hard, in fact the training is the hard part and the race is the reward! Enjoy the run, keep it positive, and you will be flying across that finish line with a smile on your face, because YOU DID IT! The Bible says in 1 Corinthians 10:31 that whatever we do we're to do it to the glory of God. It also tells us in Isaiah that we were created and formed by God to glorify Him. This is our primary purpose in life - to glorify God. We do that when we care for our body and live a healthy lifestyle. 1 Corinthians 19-20. God's Holy Spirit lives inside a believer. After we accept Jesus into heart, God gives us His Spirit to help us live the kind of life He wants us to live. Since God actually lives in us, Paul tells us that our body is His temple. Since God "bought" us with a high price, Jesus' death, we are obligated to care for our body which is His temple. Ephesians 2:10 teaches that we are God's masterpiece, created to do the good things that He had planned a long time ago for us to do. We all know that the more fit and healthy we are the more energy we will have. The more energy that we have, the more we can put into whatever task we are doing. And in eating clean, exercising, getting enough rest and lots of water, we can...do all things through Christ who strengthens me!! Are you beating yourself up or celebrating your victories? After the weekend, we tend to rank how well we did with our new healthy life style. If we got our exercise in, ran a race, crossed that finish line with a new PR, we feel pretty good and celebrate our victory, but if we didn't meet our goals we feel defeated. The sames goes with our eating, if the weekend came and went without "cheating" we feel as if we conquered the test of willpower! If we ended up "cheating" with just one little treat, then we feel like we totally blew all our good efforts for the week and may as well just go ahead and overeat the rest of the weekend because of it, spiraling down into our own pity party. Why do we put ourselves through all that? Why are we so hard on ourselves? Because we expect perfection, we don't give ourselves wiggle room, we don't anticipate what could go wrong before a race or before we head out for a weekend away with friends. We are way too hard on ourselves and we need to give ourselves more credit. SO your race didn't go quite as well as you wanted, maybe it was due to the change in the weather, maybe you were dehydrated, sleep deprived, malnourished, it could be a number of things. The sames goes with eating, mental issues (depression, boredom, fatigue) may play a role. You never know what situation may occur that stresses you out! Stop! Just STOP! Give yourself grace, look at how far you have come and celebrate every day! Don't look back at your mistakes, LEARN from them. It seems to me I learn everything the hard way! But I always take that lesson and go forward with it. Next time I will fuel well, next time I will get plenty of rest the week before the race, next time I will know better. Prepare for your weekend activities and allow yourself to enjoy a "treat" now and then and really enjoy it! Don't beat yourself up for having it. Think of your mistake as blessings and learn your lesson that makes a "Blesson." We are growing and learning everyday and we need to love ourselves more, because we are worth it! Do you ever stop and think about the miles you have covered? When training for a race, you cover a lot of ground. You leave your mark behind, especially on a dirt path on a cool, damp morning. Often times, I will see my footprints from the previous day as I head out for my run. Amazed that no one else has walked by and covered them with their own footprints. After the Boston Marathon I thought about all my footprints I left behind, covering all of Boston. 26.2 miles worth of footprints....plus the extra 3 miles I had to walk with my husband after the bombs trying to find a subway to take us back to our hotel. Those footprints represented hours of training, pushing myself beyond what I thought was possible, pressing towards my dream of completing the Boston Marathon. 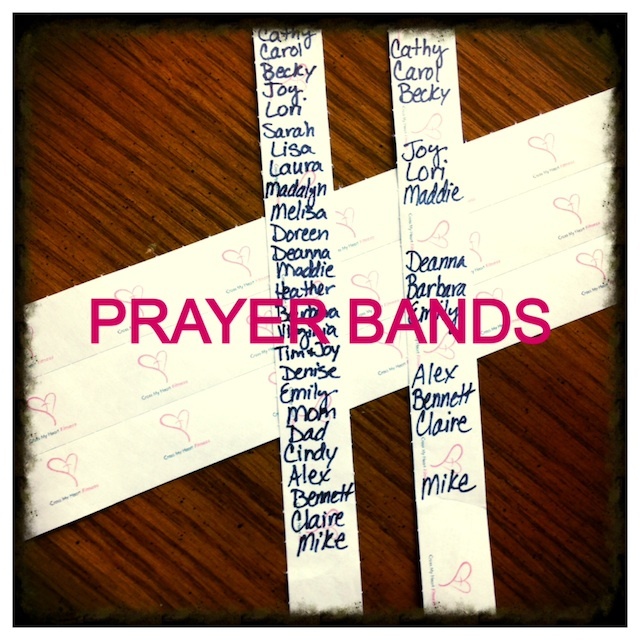 Miles of prayers for my friends and family, as I pray each mile for a different person. When I returned home to Southern California after the Boston Marathon, running was the only thing that felt right. That first morning home I went out to my running path, the same path I had been training on since 2009 trying to get to Boston, thinking about all the hours I had put in, and it felt different running it after Boston. I was changed. After running the San Francisco Marathon last month, I couldn't help but look across the city at the Golden Gate Bridge as we headed home and think of all my footprints I had left all over that city. Prayers left behind. I left my mark, as did thousands of other runners, a sign that we will never be defeated. Ever have one of those....runs? You know, you are all rested up, fueled and hydrated and ready for your run. You have been looking forward to it all week! Then you get out there, start to warm up and you just aren't feeling it? Your legs feel heavy, like you are dragging them and weighing you down. Just can't seem to get in your groove. The mind starts to wonder and you are off your game. What the heck? Why is this happening? You tend to beat yourself up, thinking, "why do I think I can run anyway? I will never be able to run that far....ever!" Self doubt creeps in and takes the better of you. Push those negative thoughts aside, find your focus, pray about it, look at yourself and find your form. It may be a day your body is slower, could be fatigue from your previous run or workout. Could be hormonal (ladies)! Focus on the finish and accomplishing your goal for the day. Stay hydrated and remember your fuel if running over an hour. You can't run without fuel, so remember to use it. Many times the weather conditions have changed since your last run, it may be hotter and more humid which are very hard on a runner. Humidity makes it impossible for your body to cool down, you are sweating, but it isn't evaporating but sitting on your skin and insulating you. It causes you to slow down, your heart to work harder. Humidity is very, very hard on the body. Slow down, find some shady areas on your path. You know from previous runs that this happens and is normal. Even the elite runners have an off day. This is part of the training, the mental part. Keep positive and pressing forward, don't stop until you reach your goal. By the end, you will be satisfied, you will be proud of yourself for not quitting and still getting your miles in. It may not have been the run you wanted, but you still did it. And you are stronger because of it! Make a Change, for the better! What have you changed? Are you eating healthier, less processed foods? Have you given up sugar? Do you eat a healthy breakfast everyday that includes protein? Drinking water instead of diet soda? Is exercise a part of your daily schedule? Did you know that making just one change each week will add up to a lifestyle change by the end of the year? You were blessed with the miracle of life, with a body that is capable of doing things beyond your belief! You need to honor your body for all that it does for you! Nourish your body daily and be thankful for your life. If you treat it with respect you will love yourself more. Exercise is so important to a healthy life, you are worth it! You will have more energy, feel better about yourself, reap the rewards of a stronger and leaner body, and enjoy the rush of endorphins. You will never regret a workout, you will feel empowered by your workouts! That is the thing about races, you have a goal to reach for, to train for, to strive and stretch for. I love training for marathons. They keep me focused. I know each week what my training plans look like, how I need to fuel, what mental challenges I have for each day (tackle that hill or speed training) and it is all planned according to my race date. Once I cross that finish line, the goal has been met! I feel victorious, I accomplished a HUGE goal! BUT....now what, the race is over, I have no focused training, no marathon to look forward to, I feel lost. I don't know about you, but I need my race dates. After all that hard training and racing, I need my break. My body needs time to recover and so does my mind. It is nice to just go out for a run and not worry about any specific training. But I can only do that for so long, then I need to get my training plan back on track and regain my focus for the next race. After the Boston Marathon 2013, I had decided to take a short break then begin training again to try and BQ at the San Francisco Marathon, which was only 9 weeks later. I will have to say, that training really saved me. I don't know what I would have done if I didn't throw myself back into the hard training, the mental focus. After my experience at Boston, I needed to focus on the run. I would have been lost if I didn't have something new to focus on. I needed to cross the finish line in San Francisco and celebrate! That was missing after Boston, there was no celebration, no feeling of accomplishment, no goals met.....it just didn't seem important after the bombs. After the events of Boston, I felt so bad for the victims, that the race didn't matter to me anymore. I was so over taken with grief that is seemed so silly to be happy about a race that caused so much terror. It has taken me a while to realize that I was allowing others to steal my joy and make me afraid. I didn't want to give anyone that power, especially those terrorists. I had to get my BQ and I had to get back and run Boston again. God willing, I will be able to register in Sept for Boston 2014. I have my BQ, finishing 5 minutes faster than my BQ time, and I just hope that is enough to get me a spot. Next finish line for me....Boston 2014!! I decided to go for a little bit longer run today, 9 miles, and was taking it slow and easy. These are the last few weeks before I start training for The Boston Marathon so I have enjoyed my "off season". It has been rainy and cool this past week, so a run was perfect in these conditions, but I didn't realize it was also windy. I headed out just before the rain started, while the sun was just peeking through the clouds. Such a beautiful way to start the day. I didn't notice the wind until I hit my halfway mark and turned around. My first thought, "I guess God decided I needed some resistance training today!" The second half of my run, was against the wind. It always seems funny to me how you don't notice it on the way out when it is blowing at your back. Over the past years, I have noticed that God likes to step in and give me the workout I really need. Often when I was training for The SF Marathon I trained in hotter conditions, pushing my endurance when the race is actually in the cooler temps. It really helps me perform better to have trained in hotter conditions. God always seems to give me exactly what I need, when I need it. He knows my schedule and will ease up on it during personal trials. My prayers are that HE will guide my training/coaching schedule, my running schedule, while keeping my family top priority. HE always comes through, knowing what I need more than I do. If I am run down, overworked, HE won't allow as much time for me to get my exercise in because HE knows I need a rest. Sometimes we have to learn those lessons the hard way. I sure did when I fractured my femoral head and was on crutches for eight weeks post-surgery. Boy, did I listen because HE got my attention! I had a lot of time to just sit, be still before the Lord and wait. I did a lot of waiting. At first, I felt a kind of peace that came over me. I wasn't upset about the injury, because I knew I was there for a reason! God had given me a peace and was teaching me to be patient and give up control.